Can you believe we are already on week 7 of From Flat to All That? It has been nice for me to follow a program that I haven’t had to take the time to create myself (other than my usual modifications). School is almost back in session and once the kiddos are back in I will have more time for regular blogs and recipes, etc. I’m soaking-up these last few weeks with them. 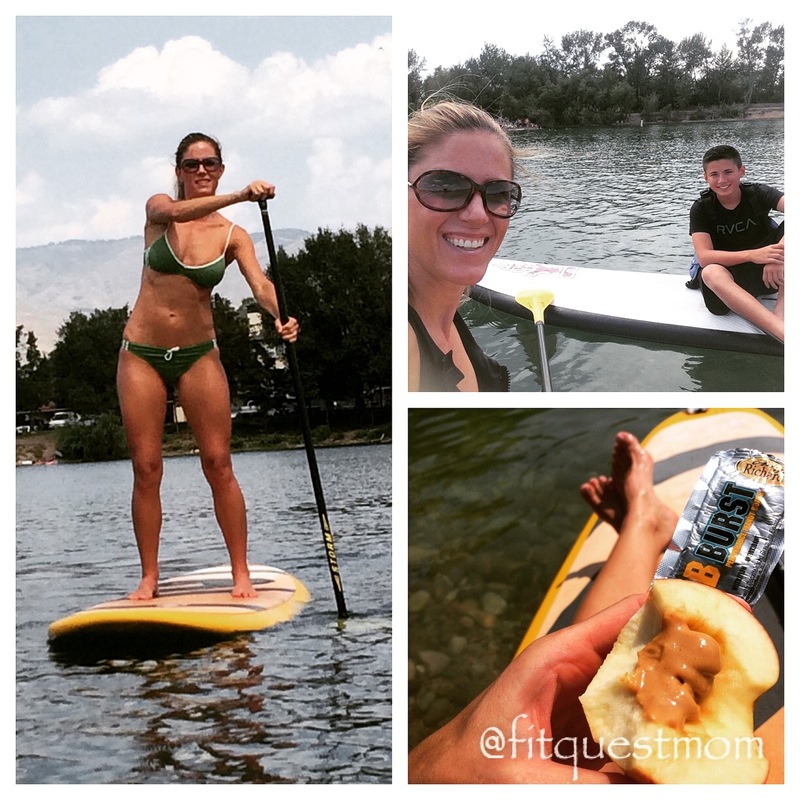 Yesterday the kids and I went stand-up paddling and had such a nice relaxing time. Above is my Instagram collage from our day. Make sure you are having fun with your fitness outside of the gym as well! If you would like to download my exercise log for weeks 7 & 8 of From Flat to All That CLICK HERE. For Jamie Eason Middleton’s workout without my modifications CLICK HERE.